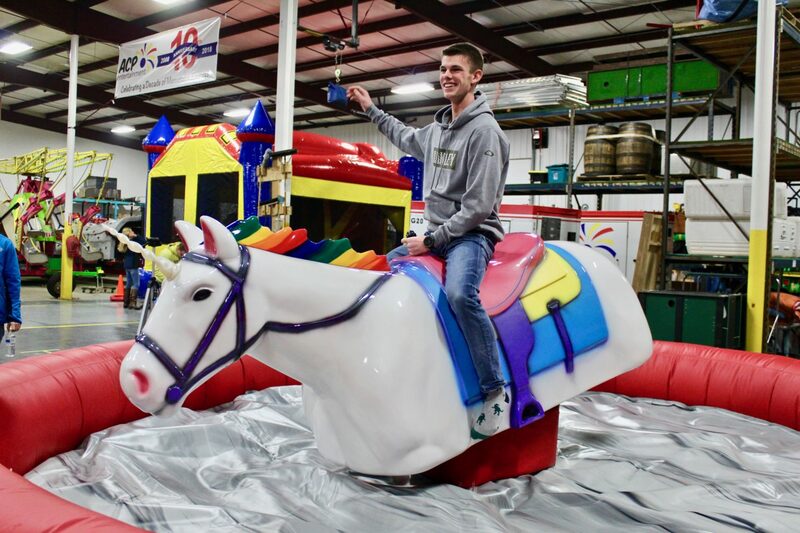 The latest addition to our Mechanical Rodeo attractions joins our Mechanical Unicorn! 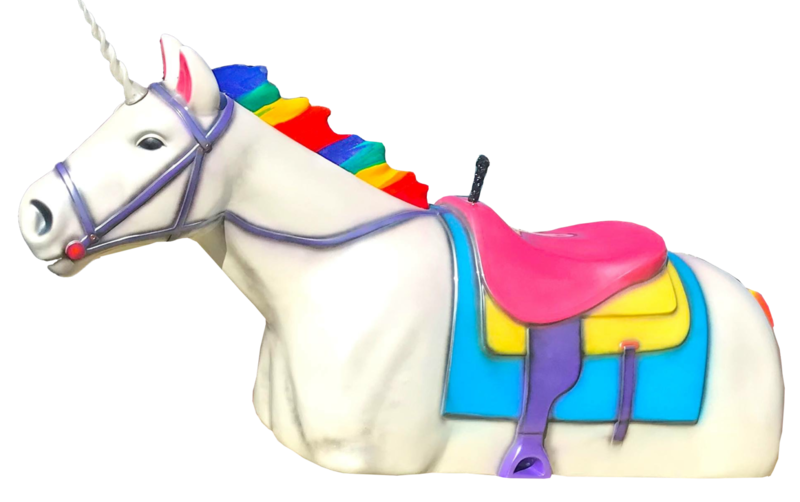 This unicorn ride rental attaches to the mechanical bull base so it moves the same way that a mechanical bull would but in a unicorn design! This ride does NOT need to buck a rider off all of the time, in fact it’s common with this specific ride to move the ride around slowly as more of an experience and not with the intention or goal to throw them off. 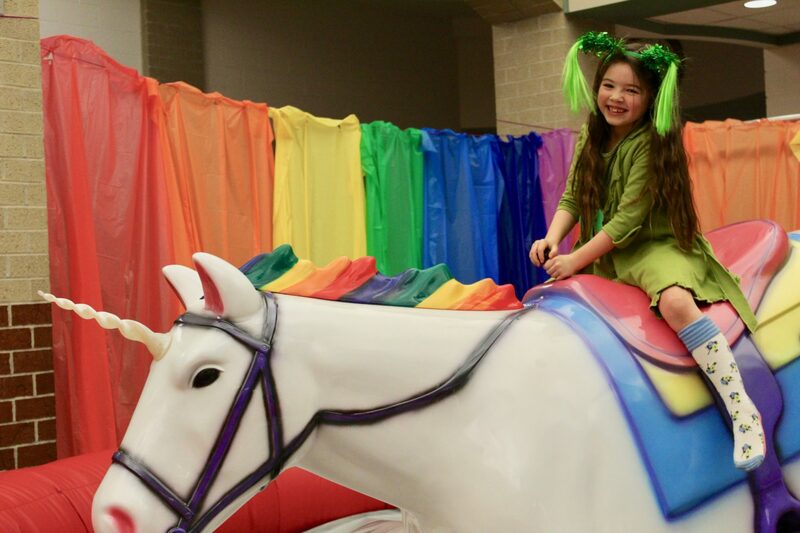 Rent our Mechanical Unicorn ride for your next event-it’ll surely be the talk of the town! 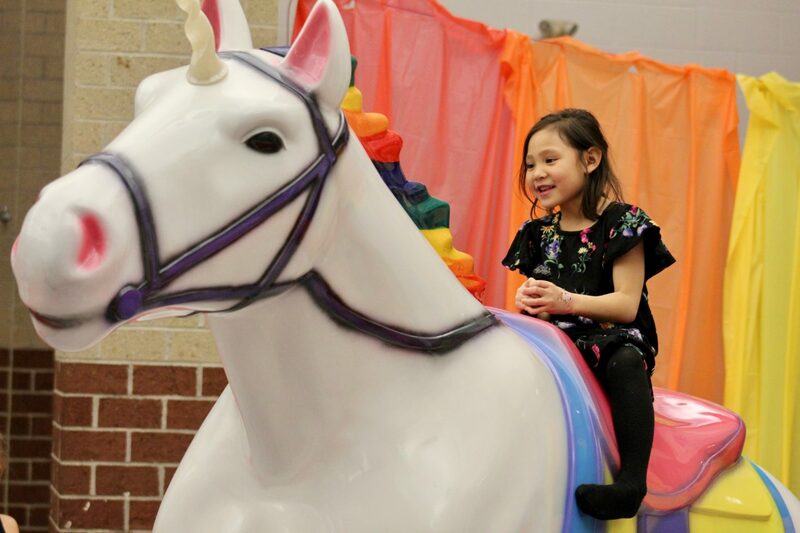 Watch the video of the Mechanical Unicorn Ride in action by Clicking Here! 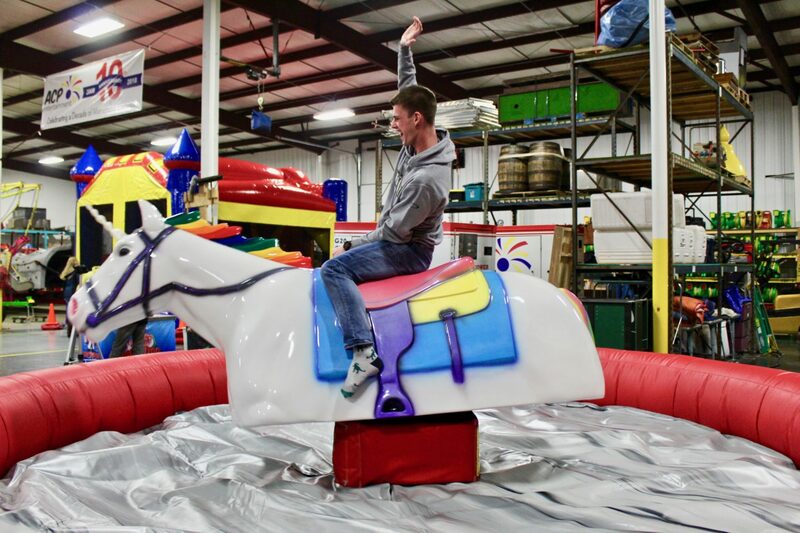 There are currently only 2 mechanical unicorns of this type in the United States! 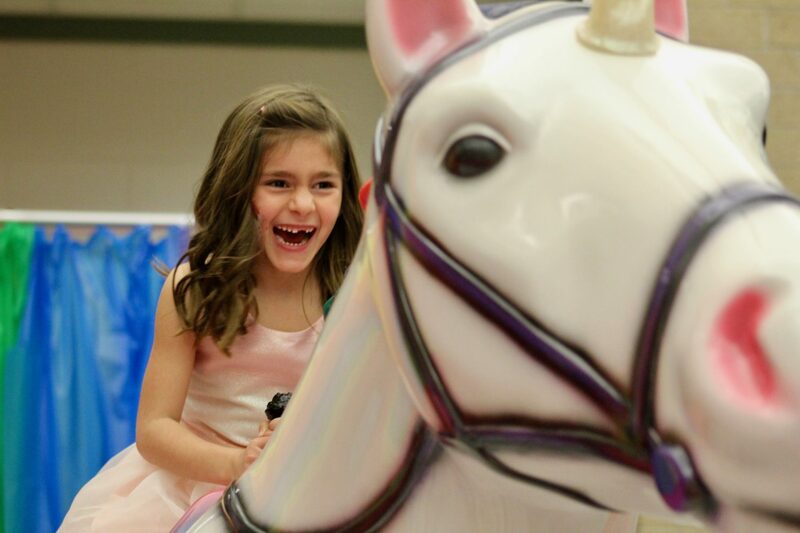 Although we are based in Grand Rapids, Michigan, we can travel anywhere in Michigan like Detroit, Lansing, Kalamazoo, Holland, Muskegon, Grand Haven, Big Rapids, or even outside of the state of Michigan to service your event with our unicorn ride. Give us a call to get a specific quote for your event!